Clues: Android 4.2 May Already Be Running On A New Phone, And A New Nexus Tablet - Both Motorola? As we come ever-closer to launch of the next version of Android, our server logs are picking up more and more traffic from devices running it. We know for a near-certainty at this point that the next version of Android will be 4.2 (actual name seems to still be Jelly Bean, based on build numbers). What we don't know is what device is going to launch to introduce this, the latest iteration of our beloved OS. But we think we have some clues. Now, you can see these devices are actually quite familiar to us: the Nexus 7 and Galaxy Nexus. What you can also see, quite plainly, is Android 4.2. We've been seeing similar entries for weeks now, so we're pretty certain that's going to be the final version number. What you're also seeing appended at the end there is the relevant build number. Note how they all start with the letter "J." As you may know, Google's OS naming scheme corresponds to sequential letters of the alphabet, Jelly Bean being "J." You may also know that the first letter in Nexus device OS build numbers share that letter. When the version number of Android changes as part of a major release, so does the letter. But here, we're seeing it hasn't, suggesting that Android 4.2 is most likely a pretty incremental update. Might that change by the time it becomes official? It's certainly possible, but given how close we are to a likely launch, we wouldn't count on it. And we're definitely due for an Android announcement - last year's Galaxy Nexus announcement was originally rumored to have been scheduled for CTIA Enterprise (now "MobileCON") in San Diego, in early October. After the death of Steve Jobs, it was moved to Hong Kong at a later date. That's when we met the Galaxy Nexus, the first device to run Android 4.0, which was introduced in May of the same year. With MobileCON upon us, there's no sign Google has anything planned. But at the end of this month, AllThingsD is holding DiveIntoMobile, where Andy Rubin first showed us Honeycomb back in 2010. Andy Rubin is on the guest list this year, too. Can these sorts of logs be faked? Sure. Would someone go through the time, effort, and likely make no mistakes along the way while doing it (we have zero reason to believe these have been spoofed)? Probably not. If you can't accept that these are real, you may as well stop reading now, because traffics logs like these are the basis for the really cool part of this story. As you can see, the version number, as well as many of the build numbers correspond closely to the Galaxy Nexus and Nexus 7 entries I showed you above. This further suggests they're legitimate. This device exists. We also know it's a phone, because the browser user agent is set to "mobile" (not shown) - Android tablets lack this part of the UA string when they show up in logs. Now let's tear apart that name a bit, shall we? 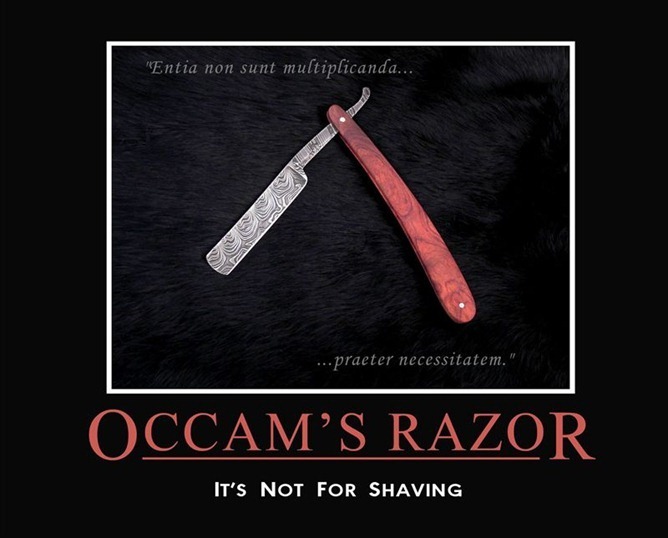 Occam is derived from a philosophical principle, known as Occam's Razor. The principle itself is pretty irrelevant. The fact that the name goes back to the word "razor" is what matters. Now who would give a device a codename that cleverly brings to mind the word "razor?" I think you've probably answered this for yourself by now. A new Motorola RAZR variant - possibly (probably) a Nexus? The reason we aren't certain on the Nexus part is because all Nexus devices have had a codename having something to do with sea creatures, and this clearly doesn't. We could be utterly wrong here. Occam could have been chosen for some other reason, like the principle's strong foundations in the idea of simplicity. That's certainly feasible. Who knows, it could be the Optimus G.
But come on. It's so clever. If this is a Motorola Nexus device, we're guessing that it's probably a Nexus version of a RAZR M or RAZR HD. It's unlikely Motorola would have prepped an entirely new phone in such a short time. Again, this is conjecture. Draw your own conclusions, but I think the one I've laid out here is quite reasonable. 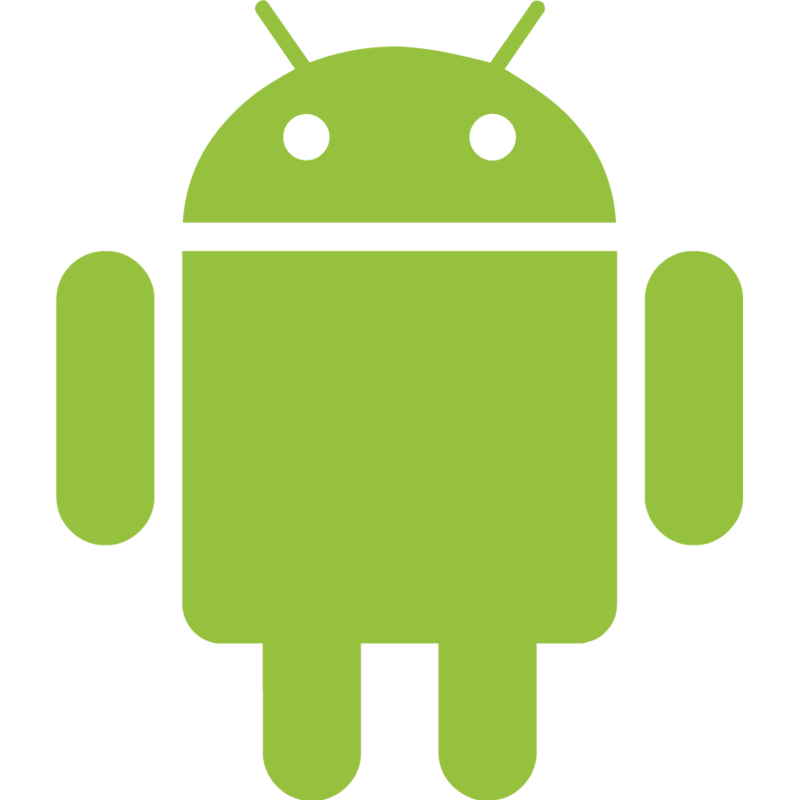 If you're something of an Android device geek, you probably know what this name is harkening back to. The Motorola XOOM had two codenames, one for the Verizon edition, and one for the Wi-Fi; Stingray and Wingray. 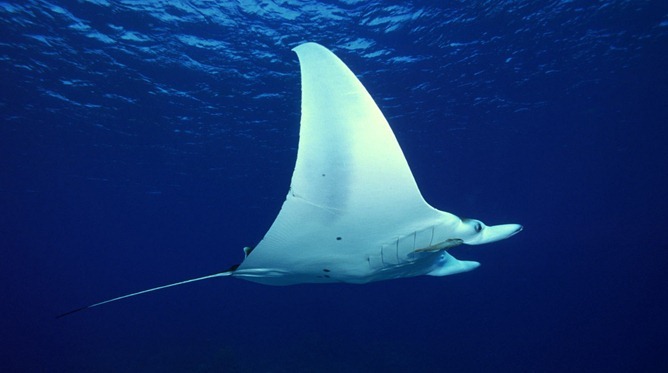 Obviously, Manta is in reference to a manta ray. We can further confirm that this device is a tablet, because it lacks "mobile" in the UA string (not shown). Given that the Nexus 7's name is "grouper," and only Motorola devices have previously been named after rays, it seems very possible we're looking at a new Motorola Nexus tablet. However, the other possibility is that it's simply a larger Nexus tablet, just not made by Motorola. The logic for the alternative is that the XOOM was a large device, and that perhaps Manta simply means another big tablet. Nexus 10, anybody? But again, given the previous Motorola connection, that's where we're leaning. We know these two devices exist, that they're unreleased, and we're pretty sure one is a phone, and the other a tablet. We could end up being totally wrong about Motorola here, but given the information, they're the likeliest choice of manufacturer. And seeing how early these devices have shown up in our server logs, we're also pretty confident they're Nexuses. Mostly because we've never seen a non-Nexus device with an unannounced major version of Android out in the wild. Take what you will from this, and as always, take it with a large grain of salt. We thought we'd share it because it has really been fascinating us over the last few weeks, and we hope we've got you excited, too. The end of October (or whenever) can't come soon enough.